These Coconut and Chocolate Macaroons are a delicious treat to spoil the family (and your friends!). 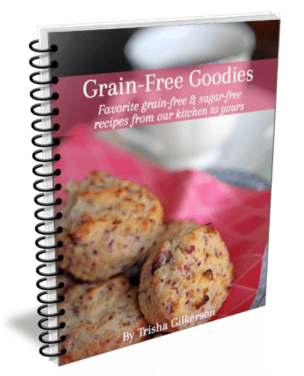 They are grain-free AND sugar-free, but you can’t even tell because they are so tasty! The coconut and chocolate lovers in your life are going to love you when you bake these Coconut and Chocolate Macaroons! 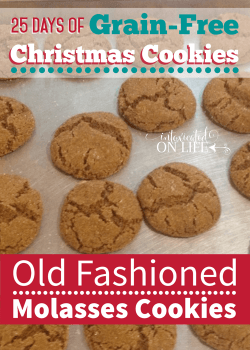 Christmas cookies mean Christmas baking—and for many years my fondest baking memories were of my three sisters and I after we had married and moved away from home. My dad, and most of our husbands, were deer hunters. 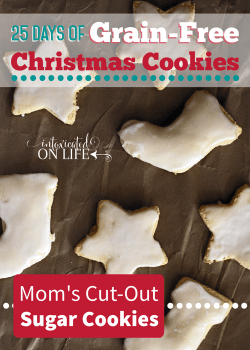 None of us, especially mom, were much for shopping the crowded malls and stores along with other “deer-hunting widows.” Instead, someone had the idea to turn that weekend into a 3-day Christmas baking fest. Somehow we always ended up at doing our baking at mom’s house. We’d descend with mixers, bags of ingredients, and our list of favorite Christmas recipes along with new ones we wanted to try. Mom’s kitchen temporarily turned into a small scale disaster area, but she didn’t seem to mind. I think it was the nostalgia of all of us baking together again in the same kitchen we’d grown up in. 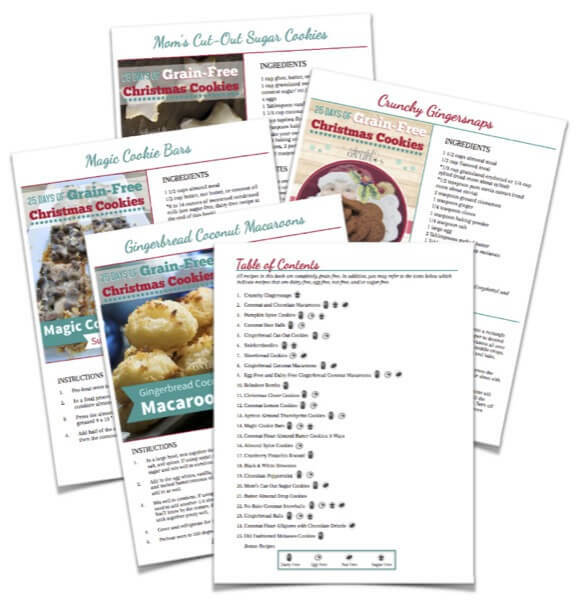 We’d make multiple batches of each recipe so that each family could take a variety of Christmas goodies home and frozen for coming holiday get-togethers that stretched from Thanksgiving to New Years. One year our cousin joined us which meant six families to bake for. We were lining tables up in the porch to hold all our Christmas treats that year! And it never failed that one or more of us forgot a needed ingredient, or we had a batch flop and ran out of a particular item. It was a good thing mom and dad only lived four miles from town. By the end of the day even the grocery store clerks in our small town knew we were baking! 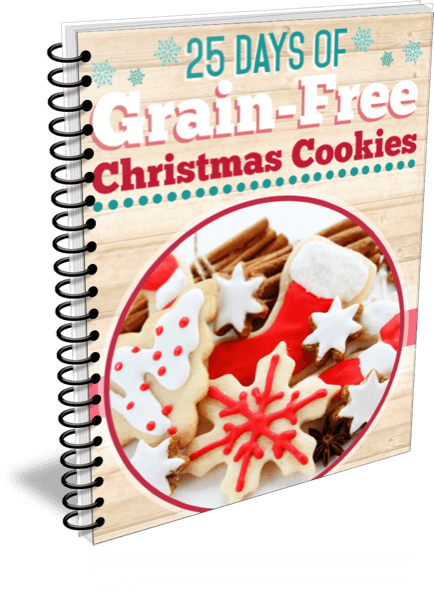 Then gradually, food allergies and the desire to “cut back” on Christmas sweets began. We traded heaps of gluten and sugar filled cookies and candy into delicious and healthier treats we could all enjoy. 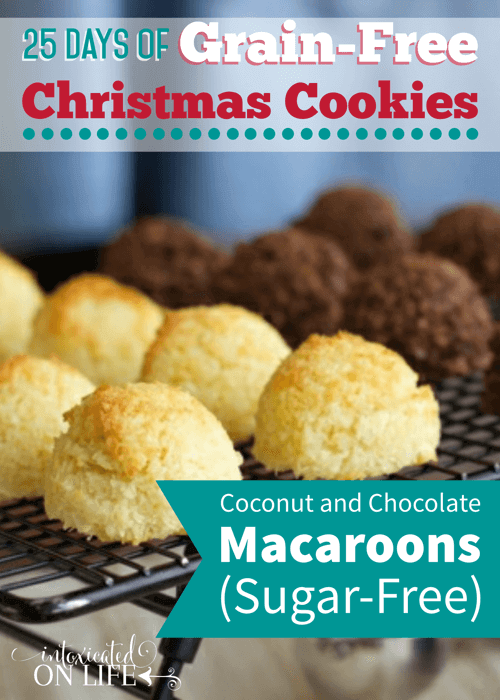 One of my favorite recipes is Coconut and Chocolate Macaroon Cookies. In a large bowl, combine the coconut flakes with the warm water and melted oil. Stir well, completely saturating the coconut flakes. In a small bowl combine the eggs with the stevia and mix thoroughly. Pour the egg mixture into coconut flake mixture and stir well. If you want to make chocolate cookies, split the dough into two even parts and add the cacao to one of them. Mix well. 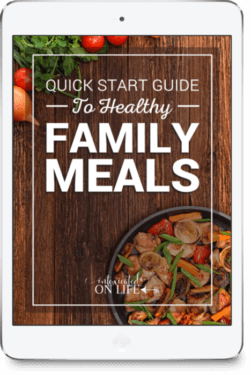 You may want to add more stevia as cacao is bitter. 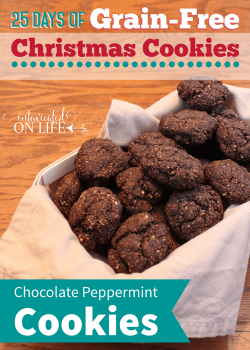 With a small scoop, drop each cookie onto an ungreased cookie sheet, or baking stone. We alternately flatten them a bit with our fingers or just leave them in the ball shape. 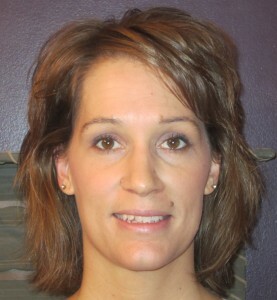 Paula is a homeschooling mom of five. 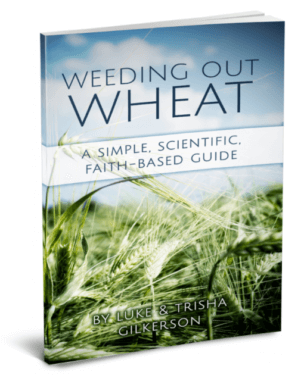 Several family health issues involving Lyme Disease, food allergies, and candida has created a passion to write about whole food, whole living, and whole faith over at, where else but…Whole Intentions. You can touch base with her on Pinterest, Facebook, Twitter, and Google+. Oooh, I love coconut macaroons and have made some similar to these in the past. 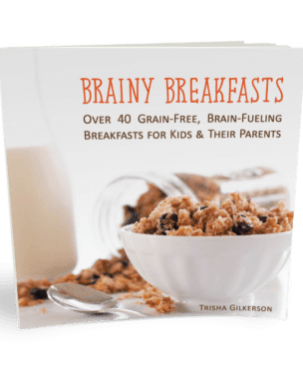 I like how these don’t use the sweetened condensed milk so they are healthier! What kind of coconut water have you tried? I tried some and was not a fan (and I’m a big coconut fan). I’ve been wondering if maybe it just wasn’t a good brand? The best coconut water is right out of a young coconut. I usually buy them at Walmart. And if they don’t have any then ask them to order some. ? Each young coconut contains about 8 oz. of water. It’s very sweet and best when cold. Tip: also watch a video on how to open one. These look so good. I love coconut! Pinning. Your Macaroons look wonderful, we will just love them. Thanks so much for sharing with Full Plate Thursday this week. Hope you have a great weekend and come back soon! How much is a dropper worth? Has anyone tried a granular sugar substitute instead of liquid. I’m curious how much to use.